Empathy is a skill – one that we can cultivate and strengthen with practice. Empathy means that we can imagine what someone else is thinking or feeling and then respond in a caring manner. Eight-year-olds understand that other people have thoughts and feelings that are different than their own, and they can use this knowledge to respond to others in a way that meets their specific needs. They can begin to forecast with more accuracy how specific events and behaviors will affect the feelings of people around them. Research indicates that reading fiction promotes empathy. Books are an ideal way to both expose children to diverse cultures and to talk with them about struggles people face locally and globally. These three book lists — curated by Common Sense Media, National Public Radio and the Cooperative Children’s Book Center — are a good place to start. While reading, pause to ask questions such as, "How do you think she feels right now?" or "What do you think he needs?" When your children talk about events, help them practice taking the perspective of others. When your children talk about events at school, on the playground or in the news, help them practice taking the perspective of others: How did their classmate feel in that situation? Encourage them to talk about how they are feeling, and model sharing your own thoughts and emotions. For example, "I felt frustrated because . . ." or "I felt scared when . . ."
Ms. O prepares for a mission and dismisses the Odd Squad to settle a dispute using a calendar. 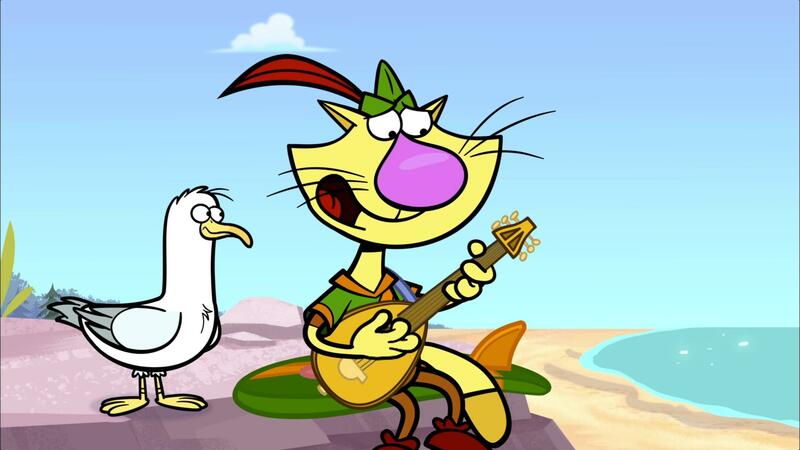 Nature Cat sings about why he's afraid to surf.